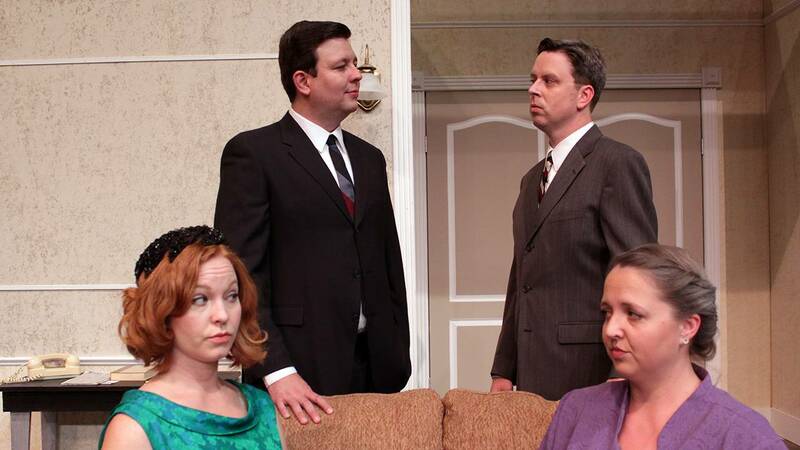 Amarillo Little Theatre's "The Best Man" opens Thursday. Even though Amarillo Little Theatre's next production was first staged more than 50 years ago, it's hard to imagine a more current piece of drama. But for Gore Vidal's The Best Man, that's the same as it ever was. The drama debuted on Broadway in 1960, in the height of the Democratic presidential primary race. Sen. John F. Kennedy was the young turk racing against the old guard represented by the likes of Hubert Humphrey and Adlai Stevenson. It was revived on Broadway in 2000 and 2012. Now, of course, we're in the height of the 2016 presidential race, a contest between two of the most unpopular candidates in modern political history, but there's no better time to stage Vidal's puncturing of political sensibilities. "I told my play selection committee that if we did this, we could only do it before the election," ALT artistic/general director Allen Shankles said. "After the election, it wouldn't have any relevance at all." The Best Man will open at 7:30 p.m. Thursday and Sept. 22; 8 p.m. Friday, Saturday and Sept. 23 and 24; and 2:30 p.m. Sept. 25 in the ALT Mainstage, 2019 Civic Circle. Tickets are $19 for adults, $16 for seniors and students and $13 for children Thursdays and Sundays, or $21 adults, $19 seniors and students and $15 for children Fridays and Saturdays. Russell, the Secretary of State, is regarded as a fine candidate who prides himself on focusing on the issues (all the better to deflect attention from his struggles with depression and fidelity to his wife, played by newcomer and Hereford High School theater teacher Sara Hogan). Military vet Cantwell (played by newcomer and Randall High School theater teacher Cy Scroggins) is more of a hothead and is willing to play far dirtier pool. "You have a very noble and eloquent and witty man, a superior man, who is just a ditherer, to be blunt about it, up against a real political operator, on the order of Nixon," Vidal said during the 2000 revival. "So we have a Stevensonian character and a Nixonian character. But they're not thinly disguised portraits, they're archetypes. Just for fun I made the political operator with a totally virtuous private life, perfect husband, everything, and the good guy has the biggest mess of a private life going on." "My character is ruthless," Scroggins said. "I would say and am going to do what it takes to win and leave the moral issue out of it." "He doesn't care who he steps on," Loe said, "or who he hurts." In 1960, that kind of hard-nosed politicking was generally conducted behind closed doors. The public mostly saw at least a veneer of civility. "I think (Vidal) was bemoaning the fact that there was no civility or morality, that people were willing to do pretty much anything to win the nomination," Shankles said. "But my goodness, how far it's come since then." The cast — which also includes Jenny Morgan as Cantwell's equally go-for-the-jugular wife, Don Shipman as former President Arthur Hockstader, Carrie Huckabay as the always-in-the-know Sue-Ellen Gamadge and newcomer Jacob Brumley as Cantwell's old Army comrade Sheldon Marcus — "has the perfect mix of new faces and vets," Shankles said. "You always need some veterans involved if you've got a place for them so they can kind of guide the way for everybody and set the example of what our work ethic is and how we do things," he said. "It's nice to get new blood in also because they keep things fresh and bring new ideas." Panhandle PBS and The Season will follow Amarillo Little Theatre throughout 2016 and 2017. 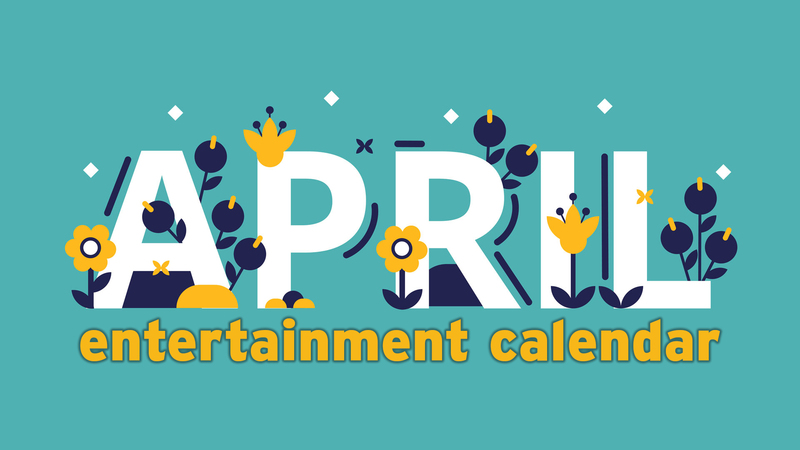 The Season is brought to you in part with support from Park Central Senior Community, Duncan & Boyd Jewelers and Realty Central of Amarillo, with additional support from Krause Landscape Contractors.